Line, D. E., & White, N. M. (2016), Journal of Environmental Engineering (New York, N.Y.), 142(1). Line, D. E. (2015), Transactions of the ASABE, 58(6), 1547–1557. Line, D. E., Hall, K. R., & Blackwell, J. D. (2013), Journal of the American Water Resources Association, 49(6), 1412–1420. , (2012). Journal of Environmental Engineering (New York, N.Y.), 138(6), 680–688. Bioretention outflow: Does it mimic nonurban watershed shallow Interflow? Constructed storm-water wetland installation and maintenance: are we getting it right? , (2011). Journal of Irrigation and Drainage Engineering, 137(8), 469–474. 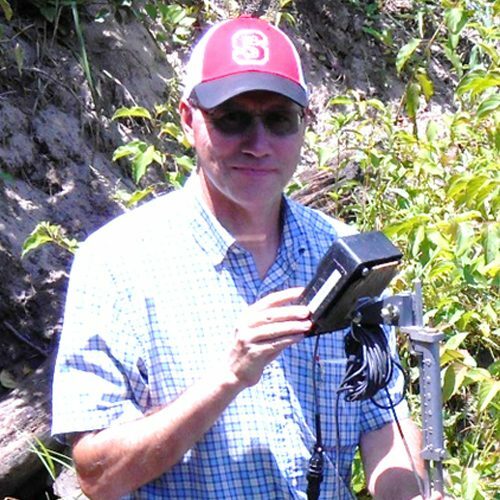 Project is to monitor discharge and sediment load in a stream and lake in Greensboro. The City of Greensboro has contracted with Withers and Ravenel (W&R) to design and implement sediment control control measures near the inlets to their water supply lakes. The City also wanted water quality monitoring to document the effectiveness of the measures. Thus, W&R has requested that NCSU_BAE conduct the monitoring of these measures, which is what this proposal is for.